All sales are Credit Card (Visa, Master, AMEX and Discover), PayPal, Check, or Money Order. All sales are considered final and complete after 30 days from date of invoice. No returns for refund will be accepted after 30 days. All credit cards are processed via PayPal whether you have an account or not. All payments are processed securely and safely. This method is being utilized in order to save us a few coins so that we can keep our prices as low as possible. Checks will be held for a minimum of 7 days and a maximum of 14 days in order for our bank to verify their validity. This in no manner has any reflection on you as an individual. This policy has been invoked due to the high amount of insufficient funds that we have encountered in the past even from individuals that previously been exceptional with their payments. Money Orders will be processed in the same manner as a credit card. Once we have deposited the funds into our account, your order will be released for shipment. Customers (recipients) are responsible for all custom fees at the time of receiving the package. Brokerage fees, import duties, VAT, or any other tariff, levy or fee are not included in the purchase price or the shipping and handling charges. Such fees and taxes are the responsibility of the receiving party. Any customs fees rebilled to badlhby.com will be charged to the customers account with an additional 10% processing fee. To find out what taxes or fees will be applied to your order, please contact your local tax authority. If your order has already shipped then it is already beyond our control. However, if your order has not been completed, then you will be able to cancel or modify your order without penalty. 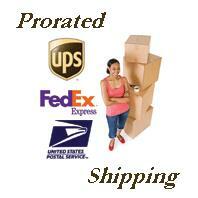 Simply notify us immediately as to your intent and we will stop the order process. Should you simply decide to modify your order, your payment will be credited back to your account and your original items will be placed into your shopping cart. This will allow you to make modifications and follow the normal checkout procedures to complete your new order. BAD L’s Hobby does not warrant that any product will meet the customer’s requirements, or that the operation or use of any product will be uninterrupted or error-free. Except for personal injuries, damages will be limited to return of the purchase price even if BAD L’s Hobby has been advised of the possibility of such damages, or for any claim against the customer by another party. BAD L’s Hobby is not liable for any misuse of, damages and/or injuries caused by any products sold in our store. Any unauthorized adjustment, modification, or alteration to product purchased through BAD L’s Hobby will NOT be accepted for replacement. Any product which has been damaged due to obvious improper packaging or handling will be returned to the customer with no CREDIT or REPAIR/REPLACEMENT GIVEN and any remaining warranty period will be VOID. The copyright in badlhby.com and the content of all the software, website, and pages relating to the badlhby.com website is owned by, and/or licensed to BAD L’s Hobby, unless otherwise specified and may not be used, copied, or altered without our express written consent. This copyright extends to the design, look and feel of badlhby.com, all images, texts, and marketing materials. You may use badlhby.com for private and personal non-commercial use only to view, copy, and print portions of badlhby.com for the sole purpose of placing orders. The materials on badlhby.com may not be used for any other purpose. All third party logos & trademarks used on badlhby.com are acknowledged and are the property of their respective owners.